I know you guys are used to full-on reviews, and they are coming most definitely. But this time around, I decided to do something a little different and make a quick (like 14 minute lol) video on two new products that just came out in 2015: the Giovanni 2 Chic Blackberry & Coconut Milk Ultra-Repair Intensive Hair Mask, and Shea Moisture Yucca & Plantain Anti-Breakage Firm Hold Gel Cream. I by NO means needed another deep conditioner and curl definer, but if you know me you know I'm a sucker for those two types of products!!! I went to Ulta and Target, and my product junkie tendencies got the best of me! I had high hopes for both, but they ultimately let me down. Check out the mini product review below, and let me know your thoughts on the two products! 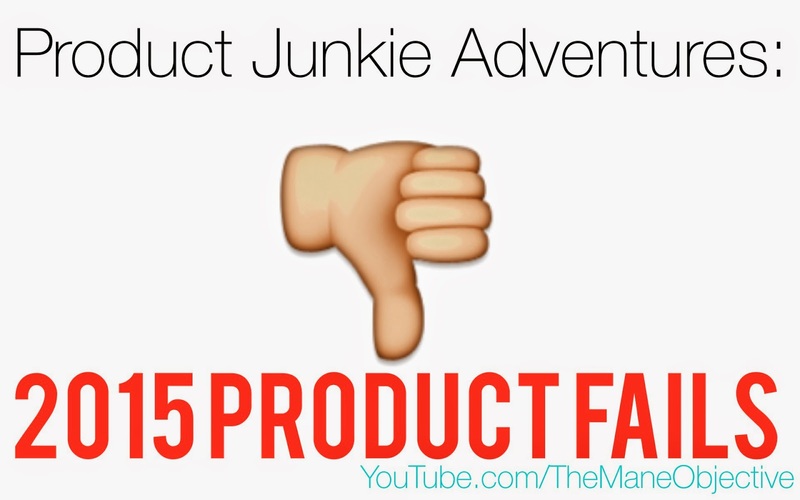 Which products aren't working for you thus far in 2015? Against my better judgment I purchased Cantu Define and shine custard for my 4c TWA WNG. It did neither. They have ANOTHER product line? I bought that for my son's hair (4C/ low porosity). He has a frohawk with just about 2-3 inches of hair. The curling cream seems to work fine depending on what it's paired with, but I don't like how the custard dried. I'm hoping layering it with different products will help. He doesn't like gels anyway, but I wanted something light to seal in moisture and give hold. I saw them teasing it on Facebook. I'll be in Target stores this week to check it out. Shea Moisture be doing the most sometimes, but I love it! Lol girl yes! They teased int on FB a few days ago. It was an impulse buy. It could possibly work well for the summer, so I'll see. I'm going to try it again this summer and see if I get a different result. It just felt weirdly dry on my hair, like a waste of time - you know? Hey Christina! I just used the Giovanni Blackberry and coconut Milk shampoo and condish; my hair loves all things Giovanni! Haven't tried the mask yet. I was disappoined to see the silicone(s), as I typically stay away from them, but I figure it won't hurt that much, ya know? I finally tried the JBCO masque, and it's just "OK". I'll use it all but probably won't buy another one. Same with the styling lotion. JBCO in general doesn't seem to do much for my hair anyway. I guess those are my no-gos for 2015 so far. I haven't seen that SM product, I do use the Baobab masque (love the smell too). I'll be on the lookout for it. LOL @ that sticky gel! I tried it twice and finally decided to make my own flaxseed gel. I'll probably try this new one if I see it though. Can't stop giving SM all my money! Thanks hon!